I am currently writing my first book. Hopefully, there will be several more to follow. But first I have to finish this one. Interestingly, even though I know what the book is about, have a general idea of where I’m headed with it, have chapter titles, and have completed the rough draft on about half the chapters, I don’t know exactly how each of the following chapters will come about. It is surprisingly much like reading a book. You know the title… you know what you’ve read so far… you know what you think might be coming… but you don’t really know exactly what to expect. Scripture points out that God has recorded in a book each day of each one of our lives. Our lives have chapters… chapters we have already read… and some yet to be read. Unlike me, God finished the book on each of our lives before a single day had passed. He knows what is coming, even though we are just following along chapter-by-chapter. We can think we know where the Author is headed with our lives, but we don’t know all the exact twists and turns of the plot. 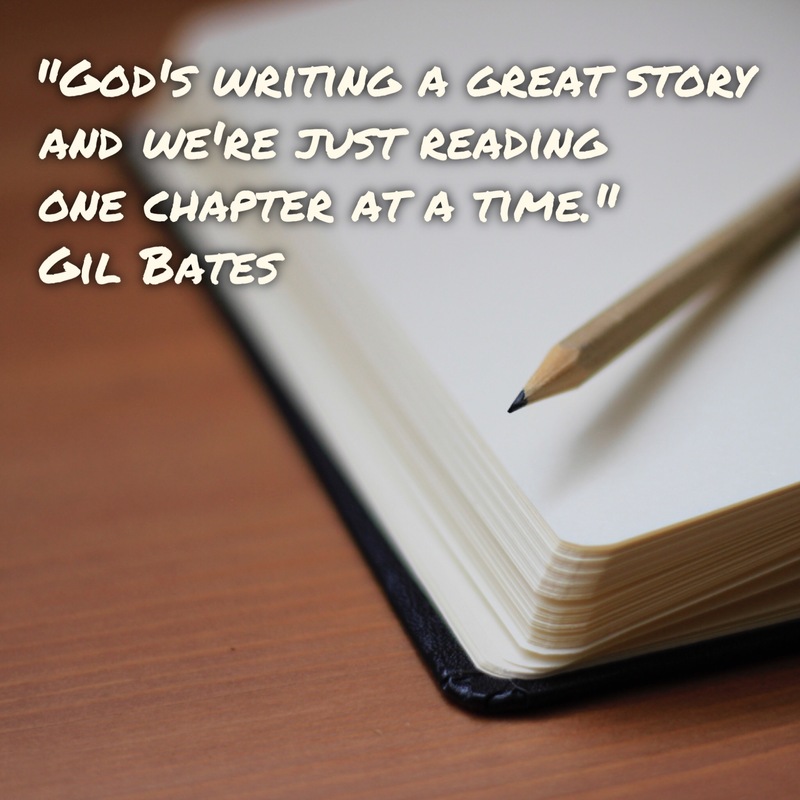 The good news is that God turns the pages for us at just the right pace. So, even if we don’t know what’s coming… He does. And He knows how everything will turn out. So, hang in there. There are great chapters coming if you stick with the author. Next Post: Is A Change Necessary?